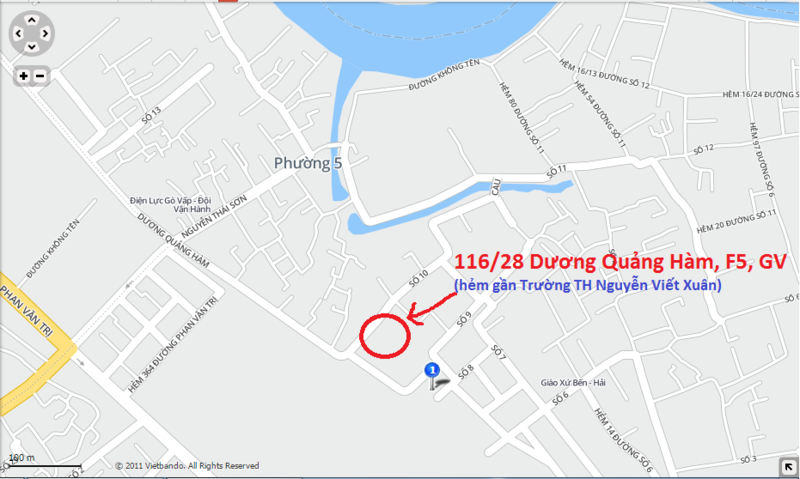 Bán Laptop Dell latitude E7440 giá rẻ tại HCM. Dell E7440 I5-4300U, Ram 4G, SSD 128G. Màn hình 14 inch. Giá Dell E7440 6.5 triệu. Bảo hành 3 tháng. Business on the road. 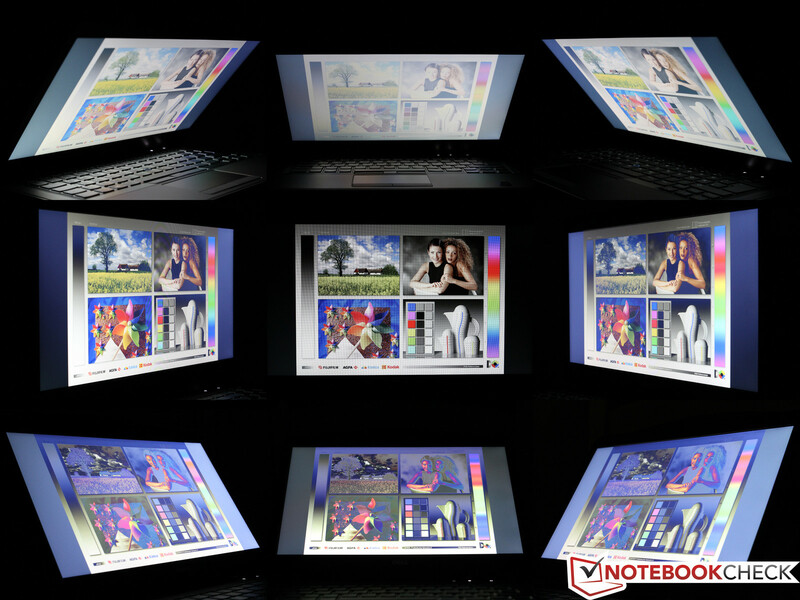 Not only consumer devices follow the trend towards thinner notebooks and ultrabooks. Dell”s new Latitude E7440 proves that mobility, port variety and office qualities can also be combined in a business notebook nowadays. We review the entry-level configuration with a Core i5 processor, a 500 GB hard drive and a WXGA display. Latitude - this name represents a series of usually quite expensive professional notebooks at Dell. These notebooks helped the company to build a remarkable reputation amongst very demanding business customers. 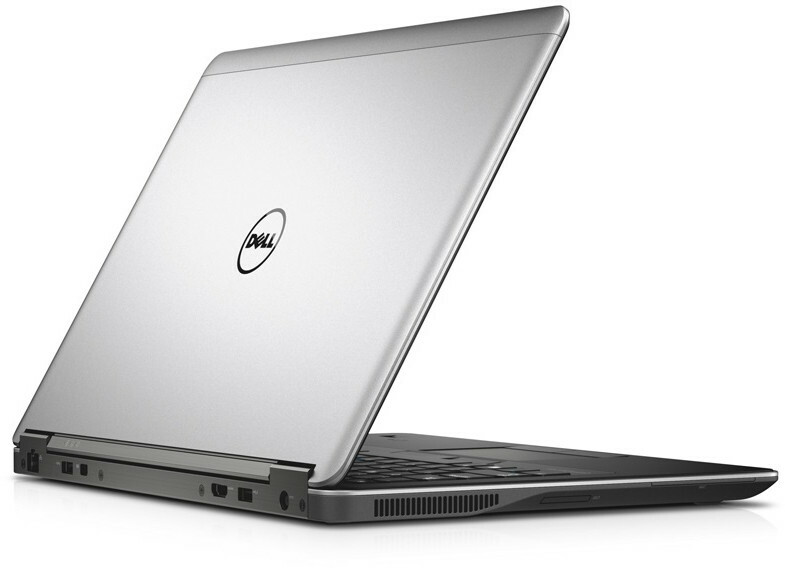 Dell not only offers the yearly refresh for the popular 14-inch class but also introduces a completely new device with the Latitude E7440 (short Latitude 14). It follows the trend of current consumer notebooks with an optional touchscreen display and a very thin chassis but is supposed to stand out from the competition with comprehensive security features and proven qualities. 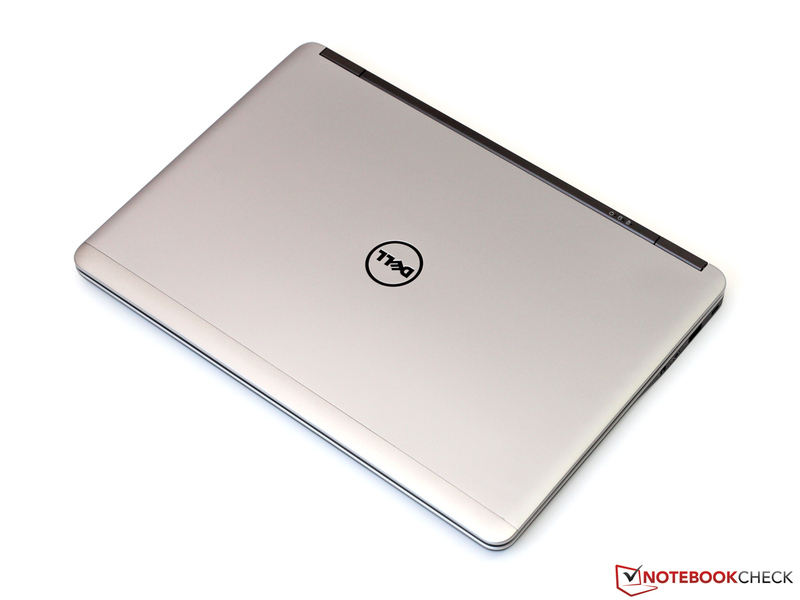 Our review unit is equipped with a Core i5-4200U Haswell CPU, which is supported by 4 GB RAM and a 500 GB hard drive. Dell currently offers a very similar configuration with a slightly faster CPU (Core i5-4300U) for 1,059 Euros (~$1437, including some discounts) in its German online store. Additional features like an SSD, UMTS module, Core i7 processor or more memory quickly increase the price for the base configuration - which is without VAT - up to 1,649 Euros (~$2237). 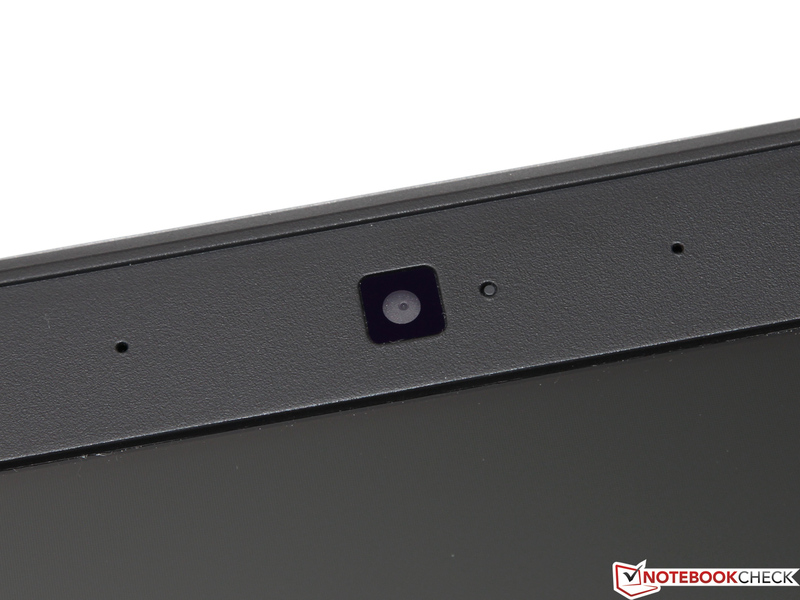 The main rivals for the new Latitude are once again from HP and Lenovo. 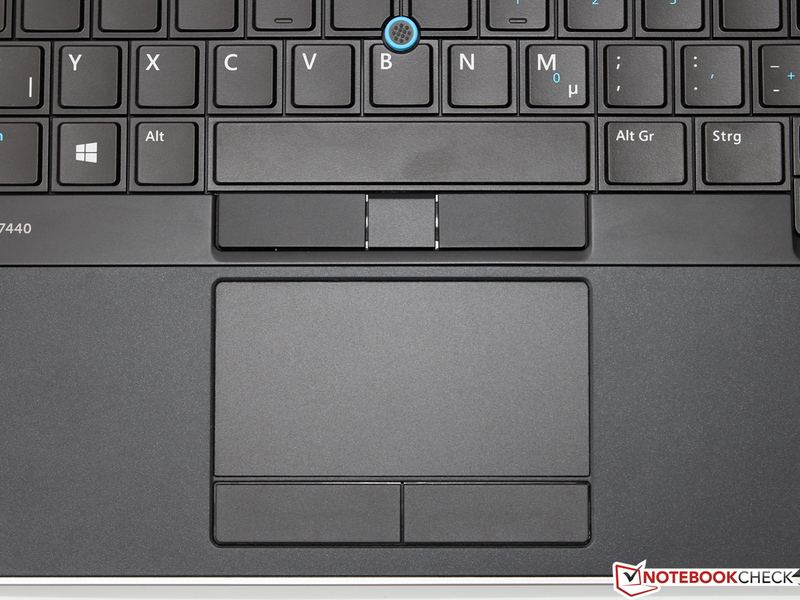 Let”s find out how the E7440 holds up against the EliteBook Folio 9470M and the ThinkPad T430u. We had the chance to review an E7440 with a matte Full HD IPS display (1920x1080 pixels), a Core i5-4300U and a 128 GB SSD. 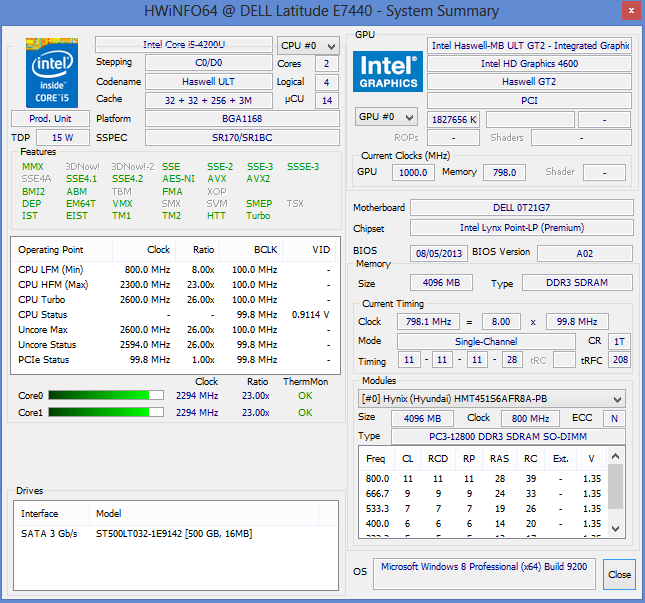 We added the according information in the sections Display, Processor, System Performance and Battery Runtime. If you are willing to pay more than 1,000 Euros (~$1356) for an entry-level configuration with average hardware equipment you can definitely expect excellent case quality. Even though the E7440 does look quite simple at first there is a real high-tech product underneath this discreet business suit. The matte black base unit with a convenient soft touch surface was made of materials like aluminum and magnesium alloy to find the best combination of mobility and stability. The result is excellent: With a thickness of just 2.1 centimeters and a weight of 1.63 kg (including the 3-cell battery) the Latitude 14 manages top values for its class. Even the torsion resistance is okay for such a thin notebook, although it cannot quite keep up with some high-end ultrabooks. We do not want to overstate this flexibility since there are no annoying creaking noises even under heavy pressure. The connection between the base unit and the display is realized by two massive hinges with a generous maximum opening angle, which have no problem keeping the display in position. Despite its thin profile, the stability of the display is very good: Dell even uses additional carbon fiber elements for configurations with touchscreen panels, while the display cover of our review unit is "only" made of aluminum. Thanks to this, both configurations have almost the same dimensions and weight. The assessment of the build quality seems almost unnecessary - we simply cannot find any points of criticism. Seamless material transitions and carefully chamfered edges meet the high quality requirements of professional business customers and result in a very good rating. The E7440 cannot offer special features like Thunderbolt but the user gets all important ports in a sufficient number. Besides three USB 3.0 ports - one can be used to charge USB devices while the notebook is turned off - Dell also integrated Gbit LAN, an SD card reader as well as two digital display outputs. You can either use HDMI or a mini DisplayPort to attach even large high-resolution external displays. A VGA port is not directly available but can be used with an optional adaptor. Many more ports are offered by the Dell Port-Replicator II, which is available for 180 Euros (~$244) and can be attached via docking port at the bottom of the notebook. Except for the stereo jack and one USB port all ports are located at the back of the device. This might complicate the handling in some situations, but you won”t have any problems with attached cables or peripherals. Dell offers several wireless modules for its Latitude series depending on the configuration, starting with the low-end Dell Wireless 1506 (802.11 b/g/n, 1x1) up to the high-end Intel Wireless-AC 7260 (802.11ac/a/b/g/n, 2x2). Dell equips all configurations in the German online shop with the fast AC module; however, our review unit only uses the inexpensive Dell Wireless 1506. Even though performance, range and features naturally cannot keep up with the more expensive versions (no Bluetooth, WiGig or WiDi), this module gets the job done: The maximum transfer rate of 150 Mbit/s is stable even with a distance of a few meters and some walls in between. There are also different WWAN solutions for internet on the go that stand out with HSPA(+) and/or LTE support as well as GPS. Unfortunately, this is only a standard feature for the most expensive configuration for 1,650 Euros (~$2238). You will not be happy with the mediocre quality of the integrated webcam if you want to use the E7440 for frequent video chats. Pictures of the 0.9 MP sensor lack details and show washed-out colors that also have problems with picture noise in darker environments. The array microphone with a clear understandability leaves a better impression. 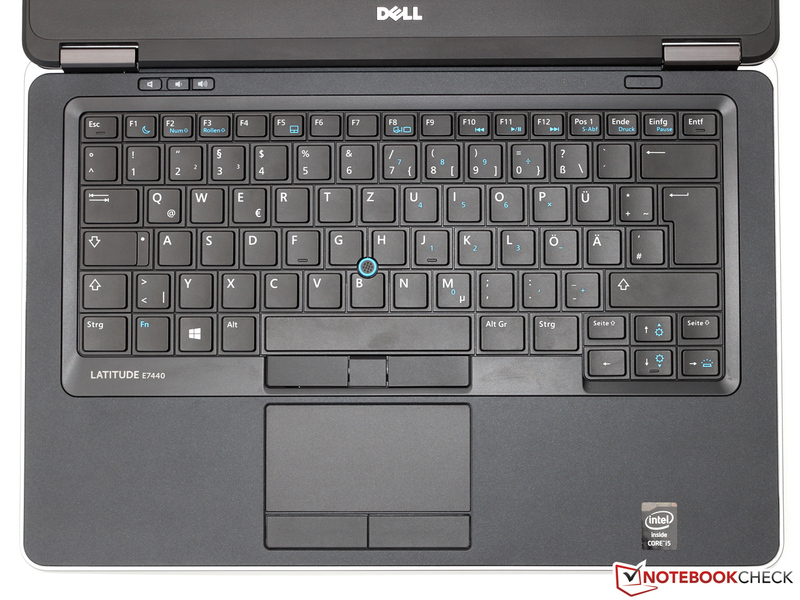 Dell equipped the Latitude with Intel”s vPro technology, which includes different security and remote-access features. You can, for instance, delete sensitive data or lock the whole device in case of a theft (Intel Anti-Theft) - a very important aspect for many companies. If you also need a fingerprint reader and a SmartCard reader you will have to choose at least the medium configuration that starts at 1,229 Euros (~$1667). Dell offers almost any accessory you could think of, starting with a fitting notebook bag up to an external display. However, the additional prices are usually very high. The box only contains a 65 Watts power supply unit and some software tools that can be used for backups, for example. One positive aspect is the lack of any kind of advertisement applications or unnecessary trial versions. 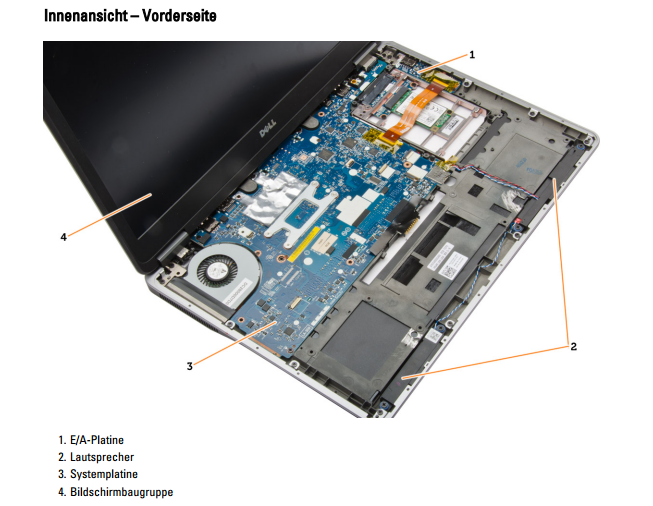 As usual, Dell offers a detailed owner”s manual on the internet that describes the maintenance of the notebook in several steps with the according pictures. After the removal of the battery you just have to loosen two little screws. Then you can remove the bottom cover, which is secured by a sliding mechanism. You gain access to the fan and the cooling solution, the two memory slots (1 of 2 occupied), the 2.5-inch slot (7 mm height, occupied), the WLAN module as well as an empty mini PCIe/mSATA slot. Attention: The latter is already occupied by a WWAN module in some configurations. The Latitude comes with 36 months warranty ex-works; depending on the model it is either a standard service or the so called ProSupport (on-site service, phone support and additional services). An upgrade to a better service is possible, as are extensions of the warranty period to 4 or 5 years. Additional prices are between 23 and 170 Euros (~$31 and ~$230, excl. VAT). The quality of the input devices is without a doubt one of the most important aspects of a good office notebook. 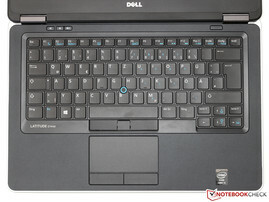 Contrary to the rivals, Dell still uses a classic keyboard design for the E7440 instead of a modern chiclet version. Whether this is good or bad is mainly a subjective question; the generously sized keys (18 x 14 mm) are definitely not a bad choice from an ergonomic point of view. We can already feel the quality of the matte black keyboard with the first key stroke. 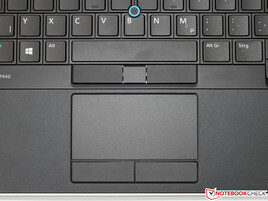 Compared to the praised ThinkPad keyboard it is softer but that does not mean it is less precise or that the feedback is reduced. In combination with the generous travel for a notebook this results in an excellent typing experience that quickly compensates for small drawbacks like the slight bouncing in the center. Finally, the background illumination is the icing on the cake. It can be adjusted in 4 steps and improves the typing experience in dark environments. The 9.0 x 4.7 centimeters touchpad is provided by the manufacturer Alps Electric and supports common features like several multitouch gestures or a convenient palm sensor. Precision and gliding capabilities of the mouse replacement leave no room for criticism. This also includes the dedicated mouse buttons with their soft and exact pressure point. Fortunately, they have not been waived in favor of a click pad. A real professional device should always be equipped with the traditional Trackpoint. It can be an interesting mouse alternative if you are used to it, although the precision of the small joystick can subjectively not compete with the counterpart from Lenovo. The three according buttons (including one for scrolling) leave a very high-quality and durable impression. The Latitude E7440 can be ordered with three different 14-inch displays: The cheapest version is a matte WXGA panel with 1366x768 pixels and 112 ppi, which is also the display of our review unit. If you need more space on the desktop you should select one of the two Full HD displays with or without a touchscreen respectively. It remains to be seen if a touchscreen will be successful amongst business customers since this choice automatically comes with a glossy display surface. We cannot really recommend the inexpensive WXGA display either: The meager resolution is combined with a comparatively weak background illumination that does not surpass an average value of 179 cd/m² in its brightest setting. However, the rivals ThinkPad T430u and EliteBook 9470m are also not much better in this regard. As expected, the LG display with the designation 140WH2 is just a simple TN panel and the picture quality is pretty standard. The according numbers are a black value of 0.48 cd/m², which results in a contrast ratio of 379:1. Compared to a very good IPS or VA panel, where we can determine values above 1000:1, the picture appears quite pale and lifeless. 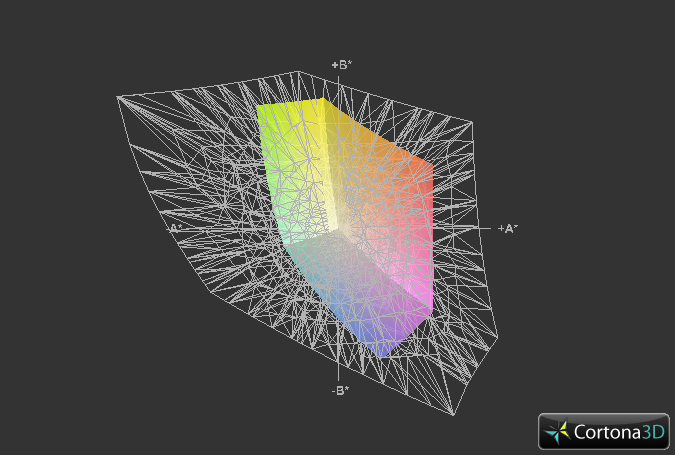 Color accuracy is not really a strong suite of the display either. 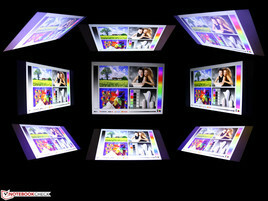 Without calibration we measured heavy deviations for all colors that are indicated by a very high DeltaE value of 12.8. Calibration can improve the situation and reduce the DeltaE value to 4.8, but a slight blue cast remains visible. 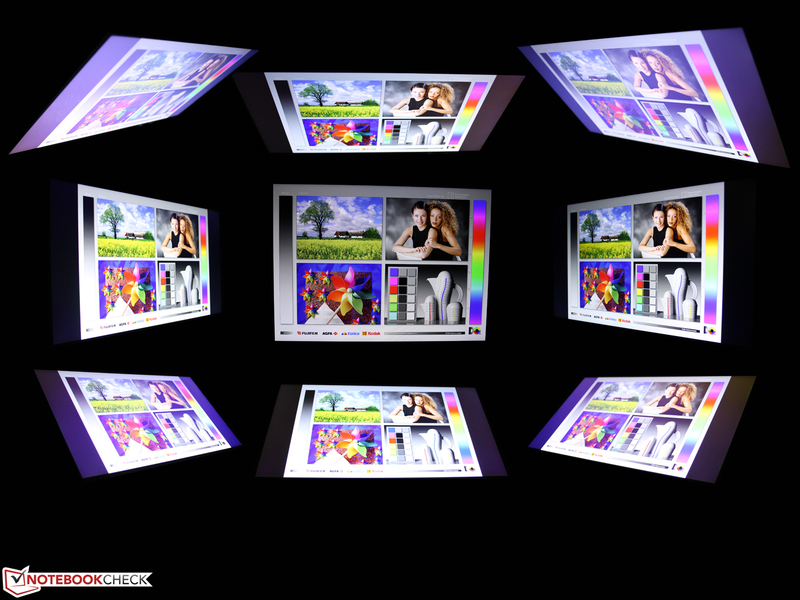 The display is not suited for professional users like photographers and graphic artists because of the limited color space; important standards like sRGB and AdobeRGB are clearly missed. 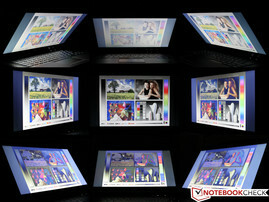 The notebook is basically suited for outdoor use thanks to its anti-reflective display surface. The problem is that the low luminance usually loses the fight against direct sunlight. Our wish would be an LED backlight with at least 250 or even better, 300 cd/m² - considering the overall price this should not have a huge impact, but it would definitely improve the usability of the device. To enjoy the best possible picture quality, your viewing angle should not deviate from the center. 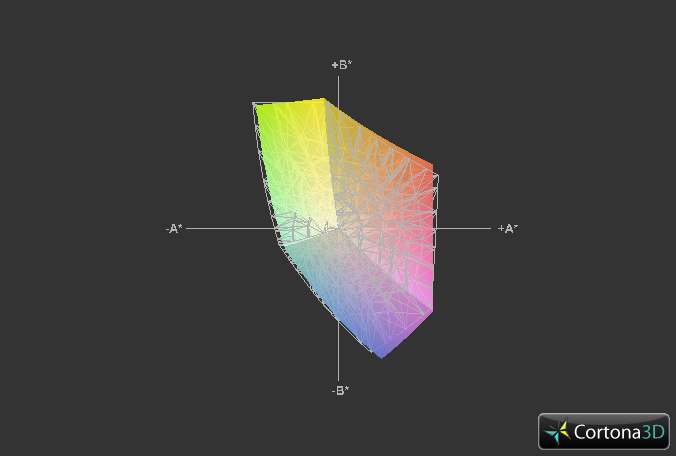 Similar to most TN panels, changes of the viewing angle, especially vertically, result in strong color deviations. Even though the situation is better horizontally, the E7440 is clearly not intended for multiple users, however, movie sessions with a couple of friends should not be a very common scenario for the Latitude anyway. The situation is better with the Full HD panel that has a maximum brightness of 313 cd/m² (center, not reduced on battery power). The pixel density is raised to 157 ppi, but the user does not only get more pixels, but also better colors, a higher contrast ratio (873:1) and perfect viewing angle stability (IPS). 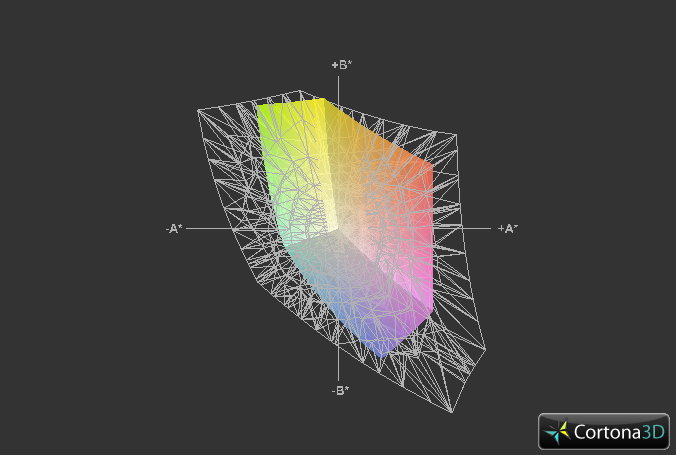 The following screenshots show the measurements of the Full HD display. The color space is superior to the WXGA panel, but both sRGB and AdobeRGB are still clearly missed. We used the X-Rite i1 Pro 2 (spectrophotometer) to analyze the display before and after the calibration. The grayscale deviation (DeltaE 2.67) is very low to begin with but can be improved to 1.24. We can however not see an improvement for the saturation, the slight shift towards magenta does not change. This low deviation with the target color space sRGB results in an average DeltaE of 4.54 (ColorChecker). Compared to the screenshots from above, we can clearly see the advantages of the IPS display over the WXGA counterpart. The same applies for the outdoor usability with the higher brightness (313 cd/m²) and the almost perfect visibility from all viewing angles is just the icing on the cake. 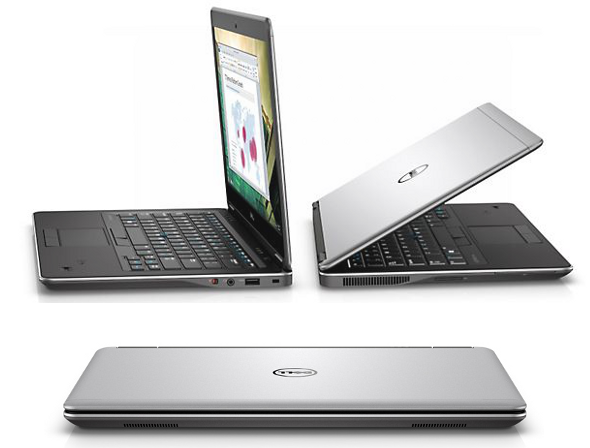 According to its mobile orientation, Dell exclusively offers the Latitude with frugal ULV processors based on the current Haswell generation. 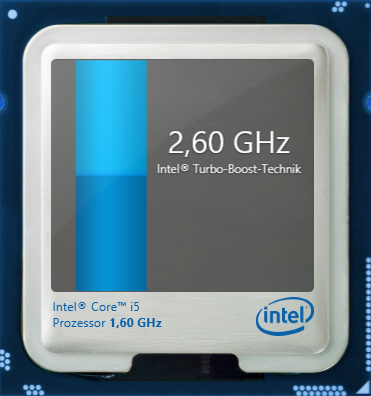 Our review unit is equipped with a Core i5-4200U clocked between 1.6 up to 2.6 GHz. This is slightly slower than the alternatives Core i5-4300U (1.9 up to 2.9 GHz) and Core i7-4600U (2.1 up to 3.3 GHz), but the performance should be more than sufficient for most applications. 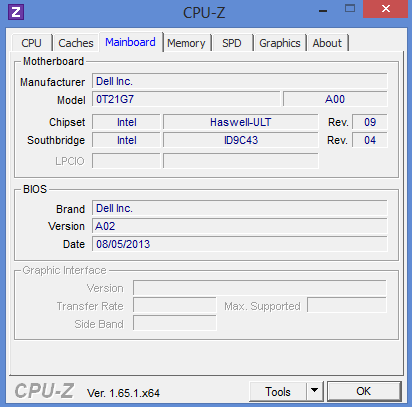 Besides Turbo Boost and Hyper Threading, the CPU also supports the new AVX2 extension that was introduced by Intel with the new Haswell generation. Another feature is the reduced TDP of just 15 Watts (Ivy Bridge: 17 Watts), which already includes the energy consumption of the now integrated chipset. 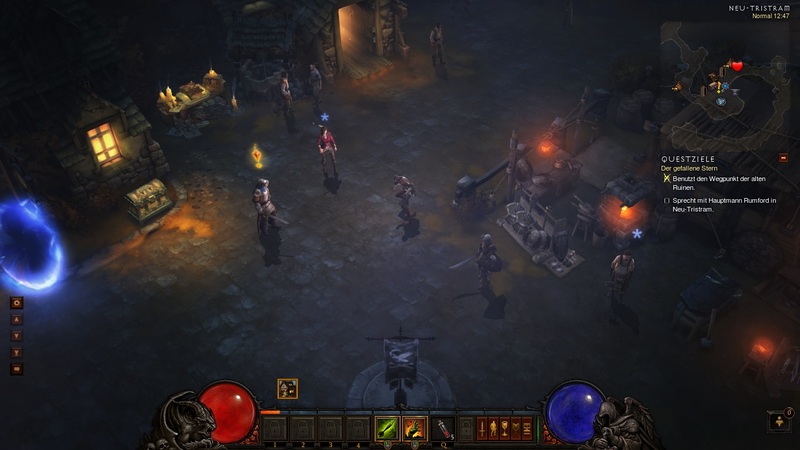 Since there is no dedicated GPU, graphics are handled by the DirectX-11 capable Intel HD Graphics 4400. It is equipped with 20 Execution Units (EUs) clocked between 200 and 1,000 MHz, which suggests a slight performance advantage over the HD Graphics 4000 of the predecessor. 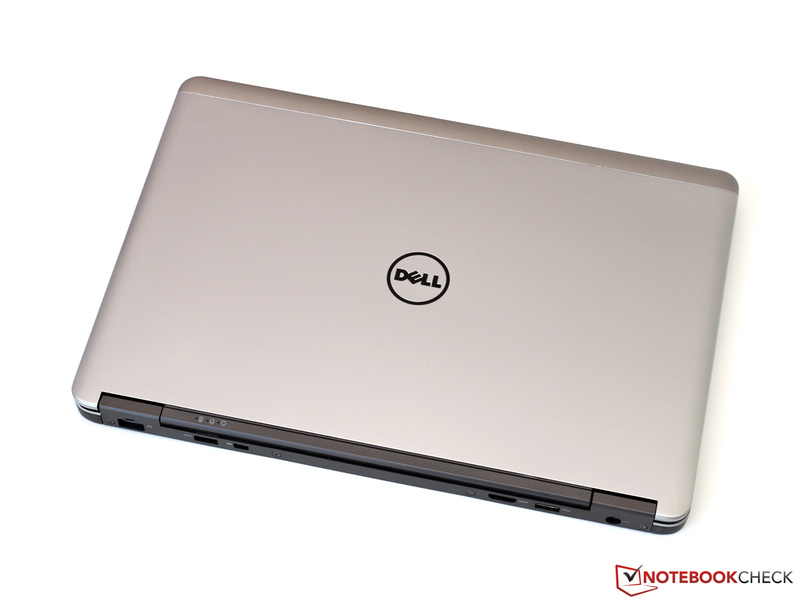 Dell equipped the Latitude with 4 GB DDR3 memory, more precisely a very frugal DDR3L-1600 module. It works with a reduced voltage, which improves the consumption and therefore the battery runtimes. Unfortunately, one module also means the memory only works in single-channel mode - this makes upgrading easier but can also reduce the 3D performance significantly. The storage solution is a simple 500 GB hard drive; fast SSD drives with 128 or 256 GB are only standard on the more expensive configurations. 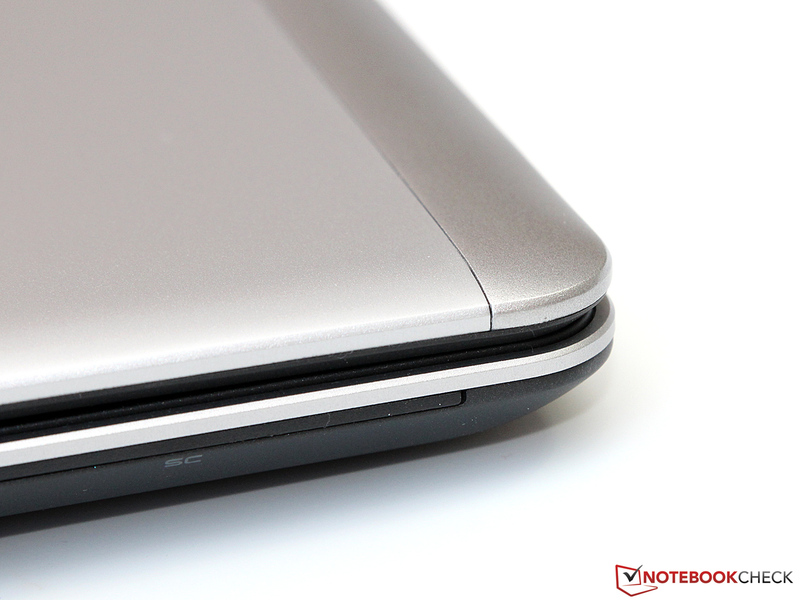 Especially thin notebooks often have a problem maintaining the maximum Turbo Boost potential over longer periods. We can dispel any concerns at this point: The Core i5-4200U is able to run with its maximum clock of 2.3 GHz (multi thread applications) and 2.6 GHz (single thread applications) respectively, even under full load - both with the attached PSU and on battery power. 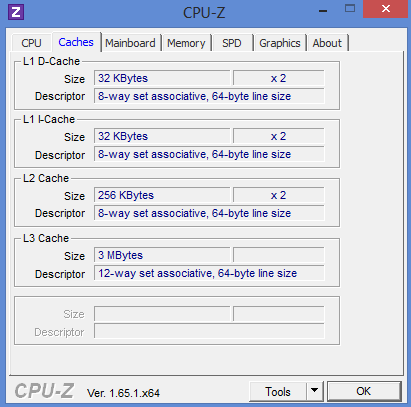 The performance is accordingly similar to other devices with the same CPU. It is a close race between the Core i5-4200U and the slightly higher clocked predecessor Core i5-3337U in Cinebench R11.5, which shows the increased performance per MHz of the Haswell architecture of around 10%. Considering the reduced energy consumption this is not a bad result in our opinion. Many potential buyers will have the question whether it makes sense to get the more expensive Core i5-4300U or even the Core i7-4600U? Even though we could not review these versions yet, we can estimate the performance advantage based on the clocks: Depending on the application, the advantage of the 4300U should be around 10 up to 15% and the 4600U should be up to 25% faster. This is not a huge difference - but that can also be said about the additional charge when you consider the high base price. Update 11/20/2013: The tester was correct, Cinebench determines a performance advantage of 12 and 11 %, respectively, which is hardly noticeable in practice. No SSD? Even though we review a comparatively inexpensive entry-level configuration we would have liked to see at least a small flash storage or an SSD cache. Instead we get a Seagate Momentus Thin (height of 7 mm) with considerably more capacity but you should not expect any performance records from the 5,400 rpm hard drive with 16 MB cache. 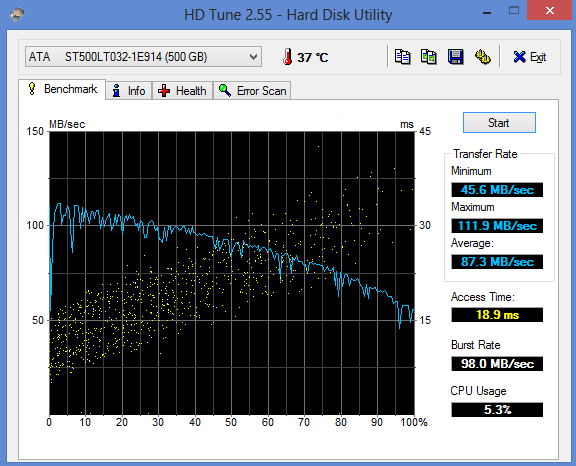 HD Tune determines an average transfer rate of 87.3 MB/s and an access time of 18.9 milliseconds, which is in the upper third for current 2.5-inch hard drives. Compared to a modern Solid State Drive, which is especially faster with very small data blocks, this result is mediocre at best. Our review unit cannot keep up with the EliteBook 9470M or ThinkPad T430u in the System Performance benchmark of PCMark 7, despite the competitive CPU performance. 2,734 points is not a bad result by any means, but HP (4,168 points) and Lenovo (4,202) can easily surpass the Latitude, which does not have an SSD. This difference is also noticeable during daily tasks. Even though the E7440 boots up pretty quickly for a notebook with a conventional hard drive - Windows 8 is ready after around 16 seconds - you still notice the small differences in terms of responsiveness that have a huge impact on the subjective performance impression. Our advice: Get an SSD - we collected all the information for an upgrade in the Maintenance section. Update 11/20/2013: We can really see the benefits of an SSD with our E7440 and the 128 GB Samsung SSD. PCMark 7 determines a 66 % advantage over the HDD counterpart. Most users will use the HD Graphics 4400 for simple office and multimedia applications. 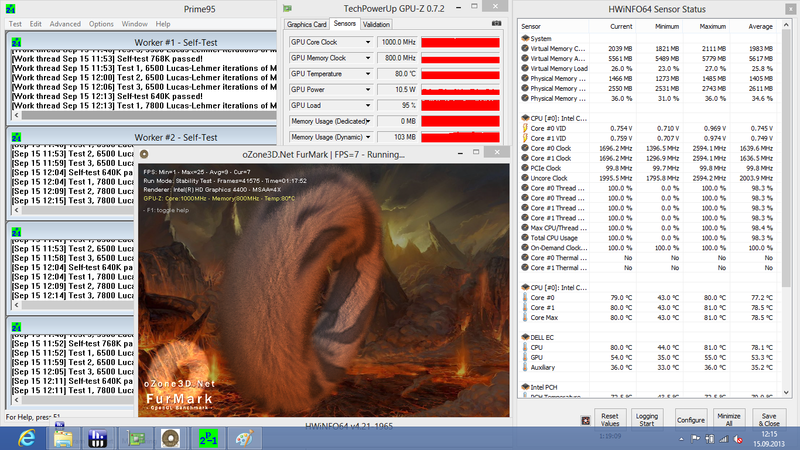 This is no problem for the GPU, quite the contrary. It is even very fast in these scenarios thanks to some features like Quick Sync, Intel”s fast and very efficient hardware encoder. More complex 3D applications on the other hand are a bigger challenge for the HD4400. 781 points in 3DMark 11 is only on a level with the dedicated Radeon HD 7550M – low-end for today”s standards. 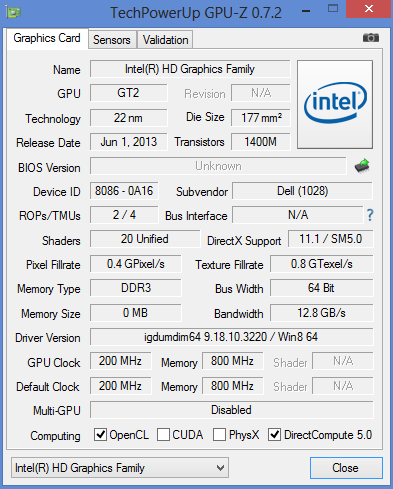 However, GPU performance is not the most important aspect of a business notebook and therefore not a serious drawback. We also ran some gaming benchmarks for the sake of completeness. The frame rates are usually in the playable range with very low quality settings, some older titles can even be played in the native display resolution of 1366x768 pixels. An inexpensive and very good way to improve the performance is a second memory module that should result in a performance gain of 30 up to 50%. The E7440 is not only passively cooled during idle but also during many daily tasks like web browsing. Only a quiet clattering of the hard drive indicates that the notebook is working at all. The resulting system noise between 30.5 up to 32.3 dB(A) should not draw any attention in most environments. We can only really hear the Latitude when we stress the hardware for a longer period. 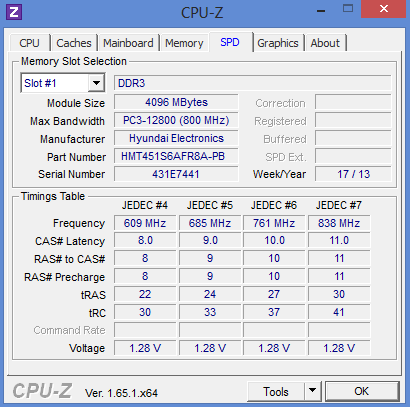 We could measure up to 40.2 dB(A) during 3DMark06, which represents a complex 3D application. This value is not necessarily annoying but there are some significantly quieter rivals like the Lenovo ThinkPad T430u (32.9 dB(A)). The maximum noise of 45.8 dB(A) in the following diagram was only reached in the impractical stress test and is therefore not a problem. We cannot determine any significant warming of the notebook at any spot during idle - quite an impressive achievement considering the deactivated fan. But the situation does not really change under load, only the area around the fan gets warmer. The palm rest and many spots on the bottom only get lukewarm. It is no problem to use the notebook on your lap, even on warmer summer days. The Core i5-4200U inside the case warms up to 80 °C in our stress test with Prime95 and Furmark, which is not critical by any means. 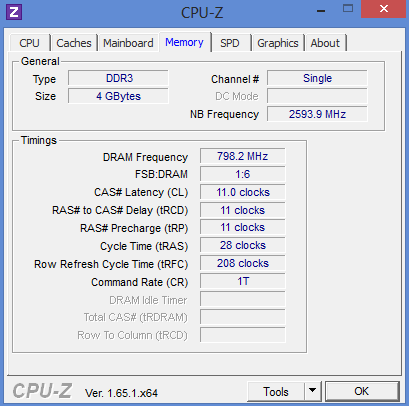 Even the integrated GPU can maintain its maximum clock of 1,000 MHz in this scenario while the CPU fluctuates between 1.6 and 1.7 GHz. Dell did a good job to find a compromise between system noise, hardware temperatures and performance - throttling should not be an issue even under extreme conditions. Speakers of office notebooks are usually not known for their great sound quality. Why would they - the speakers are often only used for system sounds or similar meaningless purposes. 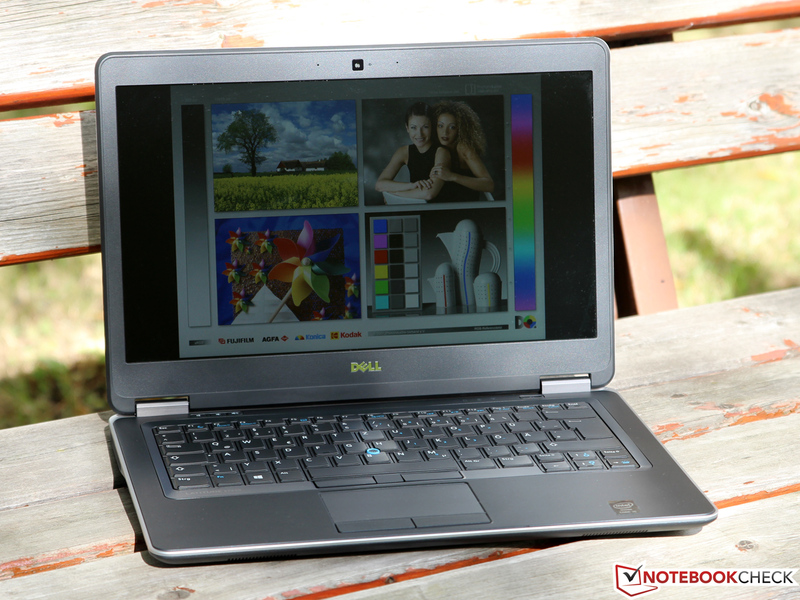 These prejudices do not apply for the E7440: The sound quality from the inconspicuous openings at the front of the notebook surpasses many multimedia notebooks: Brilliant high tones, rich medium tones and a comparatively powerful bass confirm Dell”s slogan High Quality Speakers. Since the maximum volume is also more than sufficient for most applications you do not necessarily have to attach external speakers. As usual, this is possible via stereo jack or one of the two digital video outputs (HDMI and mini DisplayPort). It is always amazing how much energy-saving potential is offered by the new Haswell ULV processors. 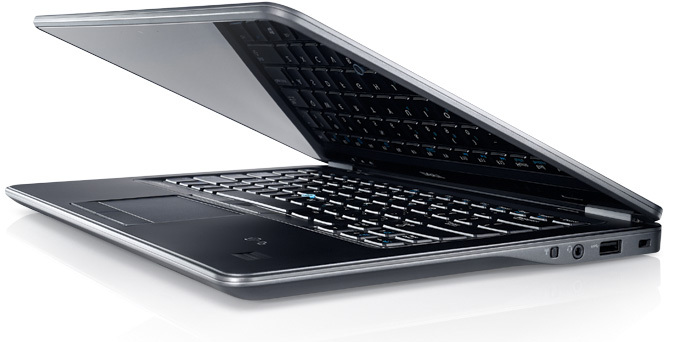 The Latitude only consumes 3.3 up to 8.0 Watts during idle - the minimum consumption was almost cut in half compared to a similarly equipped Ivy Bridge notebook (HP EliteBook 9470m: 7.3 - 10.6 Watts). The difference is smaller under load with 28.7 up to 33.1 Watts (EliteBook 9470m: 34.0 - 36.1 Watts), but every improvement is appreciated. The manufacturer is generous in regard to the power supply unit and ships the E7440 with a 65 Watts model. Dell placed the removable 34 Wh battery at an unusual spot at the front of the case. You can also get a larger version with 45 Wh, which should result in around 30% longer battery runtimes. Even the smaller battery enables an excellent mobility thanks to the low energy consumption. 10 hours and 15 minutes in the Battery Eater Reader”s Test (energy-saving mode, minimum brightness, WLAN deactivated) is an impressive result. A more practical scenario with activated WLAN and adjusted display brightness (around 150 cd/m²) results in a runtime of 5 hours and 17 minutes - still a good result that surpasses the ThinkPad T430u with a significantly larger 47 Wh battery by around two hours. 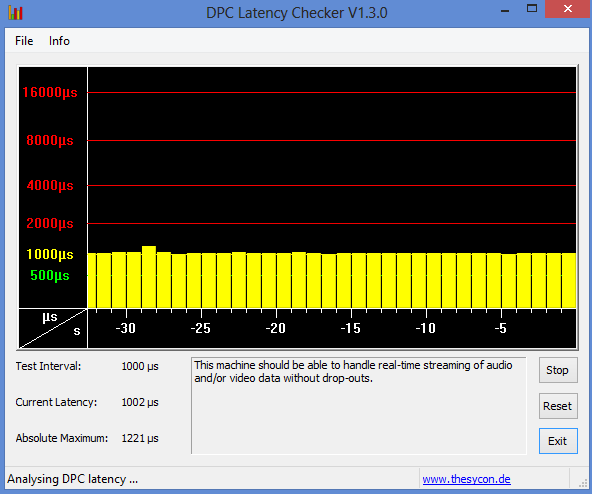 If you really stress the processor and the graphics card in the Battery Eater Classic Test (high-performance energy profile, maximum display brightness, WLAN activated) you will have to attach the PSU after 1 hour and 10 minutes. It takes around two and a half hours until the battery is completely charged again. The Full HD version manages a WLAN runtime of 5:31 hours (331 minutes). The higher resolution (brightness is adjusted to 150 cd/m² in this scenario) does not seem to draw more energy or it is compensated by the frugal SSD. For once, we want to start our review verdict with the negative aspects. But why? Well, the Dell Latitude E7440 does not really have any serious drawbacks. One issue is definitely the mediocre WXGA display. The low resolution and luminance are not really appropriate for a notebook with a price above 1,000 Euros (~$1356) excluding VAT. We also would have appreciated a fast SSD and a larger battery, but the runtimes are satisfying even with the smaller 34 Wh version. If you are willing to spend more money you can remove all those points of criticism. For instance, the notebook can be configured with mSATA SSDs up to 256 GB, 802.11ac WLAN, WWAN module, Full HD display or a 45 Wh battery; a review of the formerly mentioned touchscreen configuration should follow soon. You do not have to pay any additional price for the excellent input devices, the noble metal case or the wide port variety, which can even be extended via docking station. We also want to give the manufacturer credit for the illustrated user guide with instructions for upgrades and maintenance. This is not a matter of course for a thin ultrabook (although only the touchscreen version is a real ultrabook). Finally we want to list the attractive rivals from HP und Lenovo. Each product has its own advantages, however, both notebooks are still based on the older Ivy Bridge platform - if you really need the latest Intel processors the Latitude E7440 is currently the only option. We had the chance to review an E7440 with a matte Full HD IPS display (1920x1080 pixels), a Core i5-4300U and a 128 GB SSD. 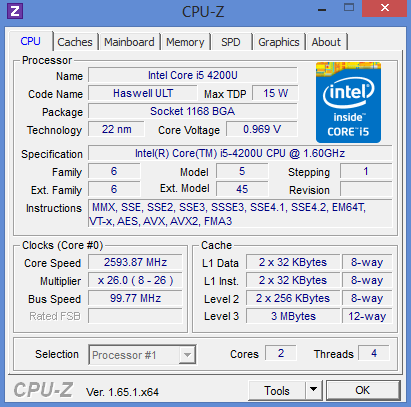 We added the according information in the sections Display, Processor, System Performance and Battery Runtime. The SSD is a nice addition and the matte IPS display is highly recommendable.